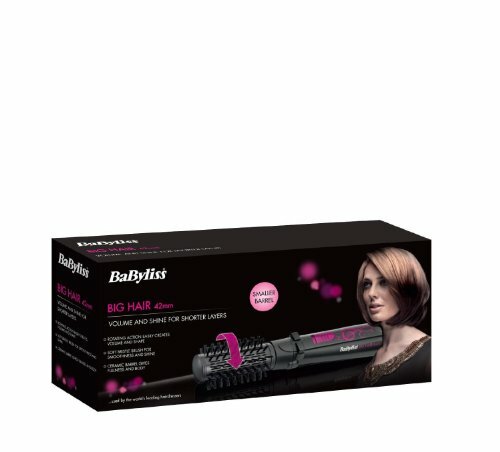 Rotating styling brush moves clockwise and counter-clockwiseBuilt with a rotating action, the BaByliss Big Hair styler is an ideal way to add optimum volume and shine to your hair. Easy to use, the Big Hair styler features a rotating styling brush with a 700 W hair dryer that lifts and shines your hair for a high volume look.For years, professional hairdressers have been creating the big hair look for celebrity clients using a brush and a hair dryer. Now you can go to get the same high volume, full body celeb style with ease using the Big Hair styler. 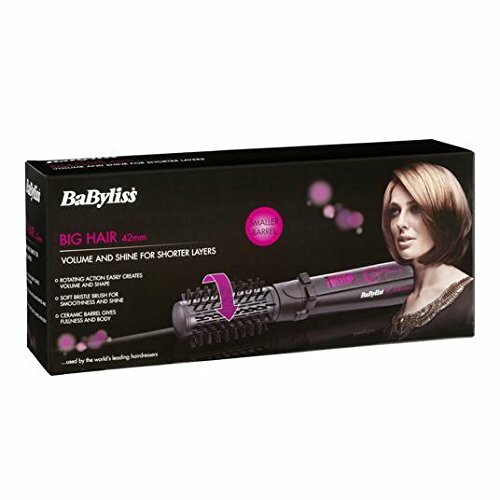 The Big Hair styler puts a spin on adding volume to your hair for maximum effect. 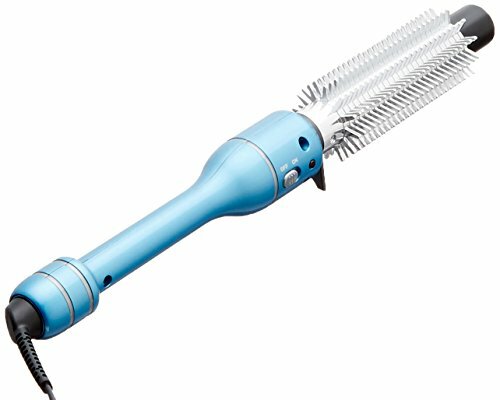 Combining the drying power of a 700 W hair dryer with a rotating stylish brush, the Big Hair styler re-creates the volumetric technique used by the hairdressers and easy to use. 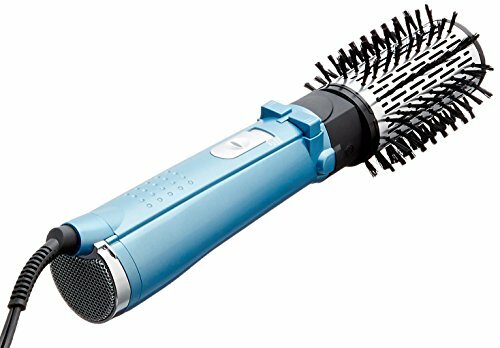 Easily controlled by two large buttons on its handle, the multi-directional styling brush spins clockwise and counter-clockwise, so you can quickly switch directions as you lift and shine your hair from side to side. A full volume look has never been easier to achieve with a styling brush.Along with the simplicity and flexibility of the rotating styling brush, the Big Hair styler also offers you the freedom to quickly start styling your hair thanks to its 700 W hair dryer. Rather than waiting for your hair to completely dry, you can start styling your hair while it is still slightly moist, enabling you to create the full, voluminous looks that you love in less time. 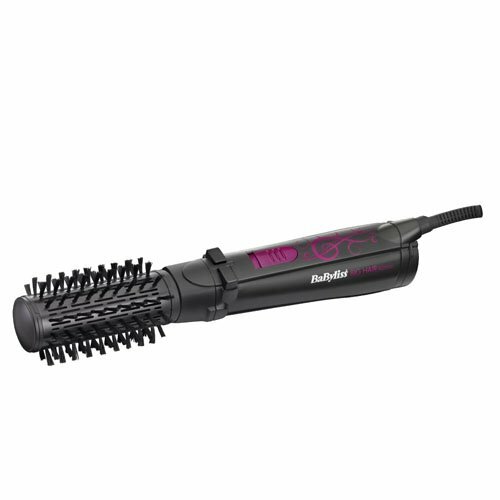 This Big Hair styler features a 42mm ceramic barrel that adds fullness and body as you dry, while the soft bristled styling brush works with the ionic conditioning system to give your hair optimum shine and smoothness. For a gentle, tangle-free brushing experience, the rotating brush has soft bristles that carefully brush and lift your hair while also adding another glossy shine that can last all day. Along with this high shine finish, the Big Hair styler adds smoothness to your hair with its built-in ionic conditioning system.Drying your hair with a hair dryer can leave your hair frizzy and full of static. That is why the Big Hair styler features ionic technology that enhances the conditioning of your hair.The built-in ionic generator sends a stream of negative ions which act to neutralise static charges as you dry, immediately enhancing the look and feel of your hair. It represents an ideal way to eliminate frizz, leaving your hair silky smooth all day long. 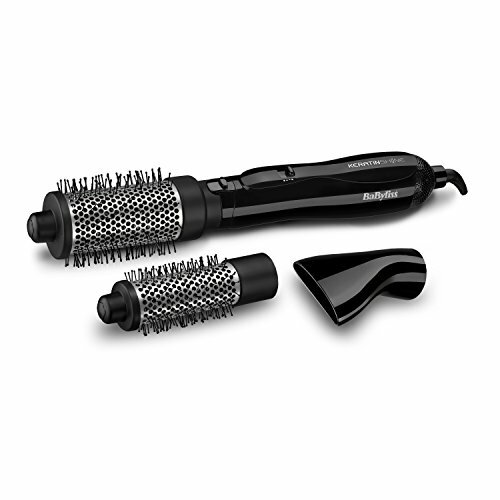 For extra control, Big Hair styler features two heat settings as well as a cool shot setting. Use high heat setting for initial drying and the low heat setting for styling as your hair begins to dry. Then you can use the cool shot to set your style.Keep in mind that when the styler is set on the high heat setting the brush head rotation will be faster and it will be slower when it is set on the low heat setting. For maximum effect, styling brush stays still when the styler is set to cool shot.For good results, if you have long or thick hair, use a BaByliss hair dryer first to dry your hair slightly so it is easier to style with the Big Hair styler. For added volume, turn your head upside down as you dry. Once your hair is mostly dry (about 80 per cent), you can start to style your hair using the Big Hair styler. 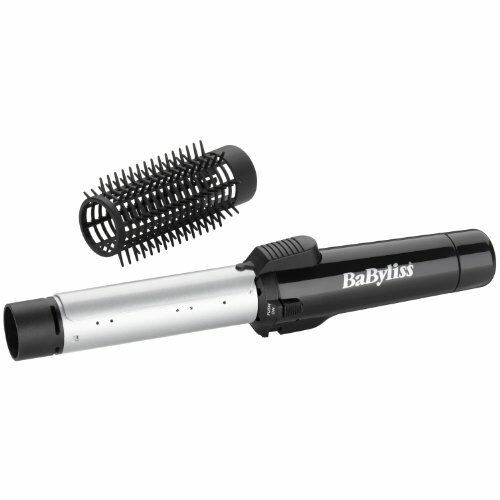 As with BaByliss Products, the Big Hair styler is designed to last. It has a hinged rear filter that makes it easy to clean so the Big Hair styler is always in top form. 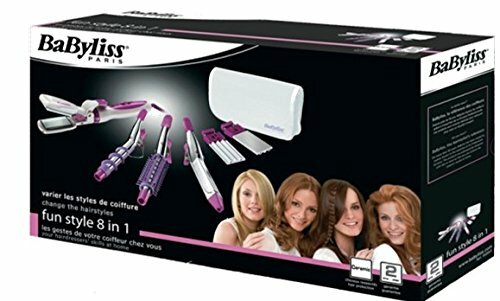 It also comes with a protective cover that can be placed over the brush head after every use to protect the bristles and stop them from collapsing.